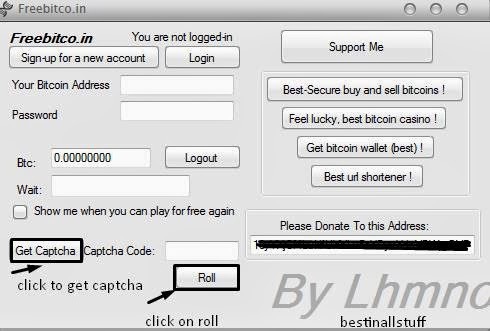 Nothing so special about this freebitco.in bot', just it need yout btc address and password for login' next click on get captcha and you need to enter captcha like you do in the site, and click roll! Just like browser but comes in handy, if you are not interested to open freebitco.in site in a tab! Just you need to run it as admin if you are using windows 7 and make sure you have .net 3.5+ so you don't get error! so here is my recent proof of freebitco.in payment!